It was in the 1930’s, if not before, that adaptive headlight strategies have been added to vehicles. Opel, General Motors Company’s European subsidiary, has recently developed a new kind of automotive headlight that tracks drivers’ eye movements and shines the headlights in that direction. This new technology is referred to as “adaptive headlights” and will be available in the near future on certain General Motors models. What do Adaptive Headlights Do? In development for many years, adaptive headlights work with a camera mounted on the dash that senses a driver’s eye movements. The system then takes eye positional information and uses it to control actuators that aim the car’s headlights. According to Portlandchryslerjeep.com this could be an important advancement in automotive safety because the driver will be able to see their car’s driving path way easier than ever before. Not all adaptive headlights are designed in the exact same way and perform the exact same functions, so look into the specific brand you may get to see what it could offer for you. We expect that Opel’s new eye-tracking adaptive headlights will use the latest high-intensity LED technology. The advantage of LED technology is that the right and left headlight beams can be comprised of the light from dozens of small LEDs with each of these capable of independent activation. This allows for functions like dimming the vehicle’s headlights directed at oncoming vehicles (“highbeams”) yet keeping the rest of the road fully illuminated without blinding any oncoming drivers. As a result, adaptive headlights will come in as an excellent safety tool on those windy roads, hills and nighttime drives, particularly when you are driving through inclement weather. A major problem when making the Opel adaptive headlight system was dealing with a driver’s always-changing view field. If the headlights were permitted to follow an average driver’s gaze precisely, the vehicle’s light path would move around erratically. 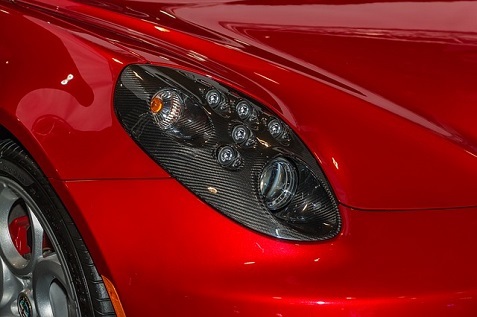 The fix was a sophisticated algorithm that delays the system’s response so the headlights follow a more natural pattern. Another issue was to make the system so it works with all drivers, regardless of size or seating position, without calibration or adjustment. When Can I Have Them on My Car? A launch date for the eye-tracking adaptive headlight system has yet to be announced but Opel already has some available technology that forms a piece of a complete adaptive headlight system. Called “AFL+”, this system adjusts a headlight intensity and direction depending on the driving situation (city vs country roads, etc.) and is based on vehicle speed and steering wheel inputs (not eye movements). AFL+ also includes functions like a high beam light assistant that automatically switches your headlights to low beam when a forward-facing camera, found on the back of the rearview mirror, detects oncoming headlights or tail-lights of other cars. This technology holds the promise of changing the standard way that automotive headlights work so we would like you to stay aware of what is happening with this great technology!